The School of Arts & Media have organised a Christmas Fair to take place in the New Adelphi Atrium on Wednesday 12 December between 12.30 pm - 3 pm. You can expect plenty of Christmas music playing and free cups of delicious hot chocolate to get you feeling festive! 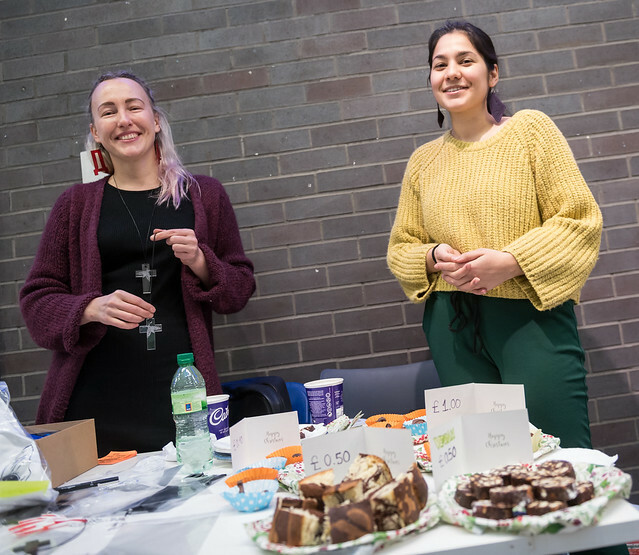 Salford students will host all stalls, selling their art, prints, crafts, fashion and baked goods. Alongside this, there will also be Christmas face painting and glitter, musical performances from our students and School of Arts & Media societies. All are welcome - and Christmas jumpers are encouraged! Alongside this, SoAM have organised some Christmas festivities for our University community down at our MediaCityUK campus on Tuesday 11 December between 12pm – 2pm - again there will be more hot chocolate and plenty of festive tunes! We would like to take this opportunity to wish all of our colleagues a very Merry Christmas from The School of Arts and Media!